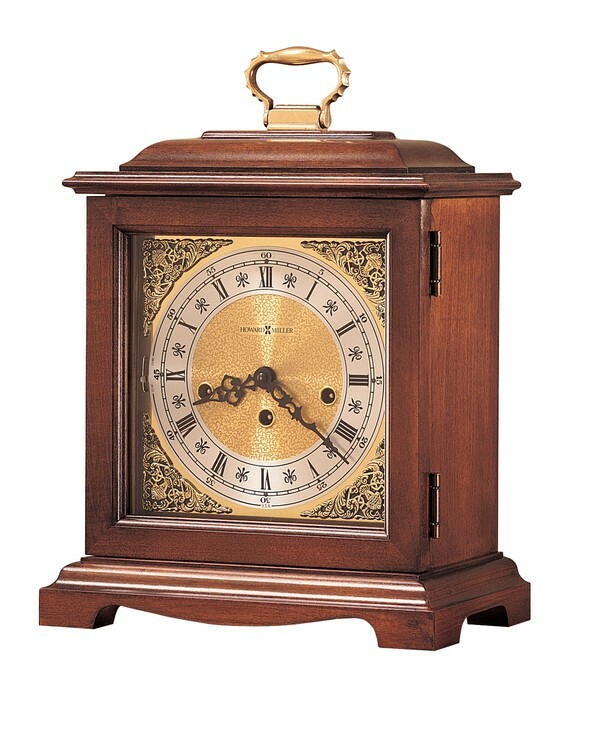 Classic bracket Howard Miller mantel clock with Windsor Cherry finish on select hardwoods and veneers. Brass-finished dial offers a silver chapter ring and decorative corner spandrels. Key-wound, Westminster chime movement with chime silence option an durable bronze bushings. Made in the USA. 14-1/4" x 10-1/2" x 6-1/2"
H. 5/8" x W. 3" Engraved Plate under dial.